Indian Army Open Rally Bharti 2017 @ joinindianarmy.nic.in: Indian Army Recruitment Rally 2017 — Indian Army has released vacancies for various positions like as Soldier General Duty, Soldier Technical, Soldier Clerk / Store Keeper Technical, Assistant, Accountant, LDC, Health Inspector, Cook, Tailor, Barber, Washer Man, Syce, MTS, Industrial Mazdoor & Other Posts. In this way, Various posts are released every year by Indian Army. So youth candidates can check here complete information regards joinindianarmy. Indian army is conducting open Bharti rally for interested candidates. Those candidates who are making a career in Indian army stay on this page and get all information easily. We update here all information like as require height, weight, chest, pulls up, documents etc. Join Indian Army Recruitment 2017 – Indian Army released job notification for various Recruitment 2017. This page list all the latest job openings in Indian Army. Find Indian Army Recruitment 2017 details for posts, age limit, education, experience and other eligibility criteria by an official source. Here on this page you will get the details like the Name of vacancies released by Indian Army with exact number of posts. Some other criteria like Education details, application fee and way to apply application for Indian Army recruitment 2017. Indian Army recruitment 2017-2018: Recently, Indian Army published bumper vacancies for SSC officer (Short Service Commissioned). Candidates can only apply through offline method for same post. All the interested candidates can apply offline before last date i.e. 14 June 2017. All the interested candidates must qualify the at least eligible criteria to get job in the Armed Force @joinindianarmy.nic.in. Firstly let discuss about the post details and vacancies. Educational Qualification : Matriculation (10th passed). Indian Army Selection Process : Selection will be based on Written test. 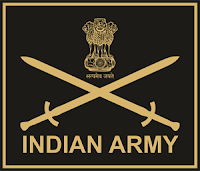 How to Apply Indian Army Vacancy : Interested candidates may apply in Prescribed application form along with Self attested copies of Education qualification certificate. , Date of Birth Certificate, Caste certificate where applicable, Photocopy of Discharge certificate, Two Passport size photographs duly self-attested & Self addressed envelope affixing postal stamps of Rs 25/- etc. send to 27 Mtn Div Ord Unit Pin-909027 C/O 99 APO on or before 21 Days from the Date of Publication. Educational Qualification : 12th or equivalent examinations from any recognized board/institute. How to Apply Indian Army Vacancy : Interested candidates may apply Online through the website joinindianarmy.nic.in on or before 30.10.2017 to 29.11.2017. For Soldier Technical : 10+2 /Intermediate Examination pass in Science with Physics, Chemistry, Maths and English with min 50% marks in aggregate and 40% marks in each Subject. Indian Army Selection Process : Selection will be based Physical Fitness Test, Physical Measurement Test, Medical Examination & Common Entrance Examination. How to Apply Indian Army Vacancy : Interested candidates may apply Online through the website joinindianarmy.nic.in on or before 19.11.2017 to 18.12.2017. The Indian Army is the land-based branch and the largest component of the Indian Armed Forces. The President of India serves as the Supreme Commander of the Indian Army. The Indian Army originated from the armies of the East India Company, which eventually became the British Indian Army, and the armies of the princely states, which finally became the national army after independence. The primary mission of the Indian Army is to ensure national security and unity, defending the nation from external aggression and threats, and maintaining peace and security within its borders.